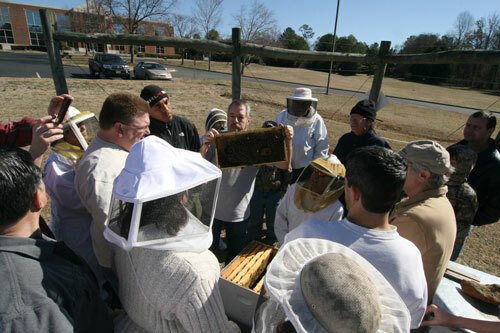 Date: Mondays, 6:30-9:00 p.m. from January 9-March 6, 2017; optional Ask a Beekeeper sessions begin at 6:00 p.m. before each class. Deadline for registration: December 1, 2016*. To register, you must send in a registration form along with your check. Download a registration form. Please fill out the form on-line, then print it and mail with your check. * Register early! Space is limited and we always fill up before the deadline and have to turn people away! Due to the high demand for our school, first preference will be given to Chatham residents and/or current members of the Chatham County Beekeepers’ Association. If there are still slots available after the December 1 deadline, we will admit students from outside the county on a first come, first served basis. We will send an email confirmation of registration on or before December 5. Checks will be returned for those who did not make it into the school. 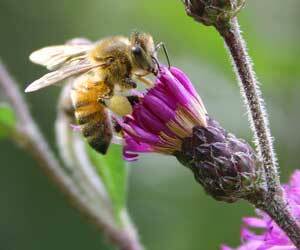 For more information: Call 919-542-8202 or email Debbie Roos and put “Bee School” in the subject line. No class on January 16 in honor of the MLK holiday!